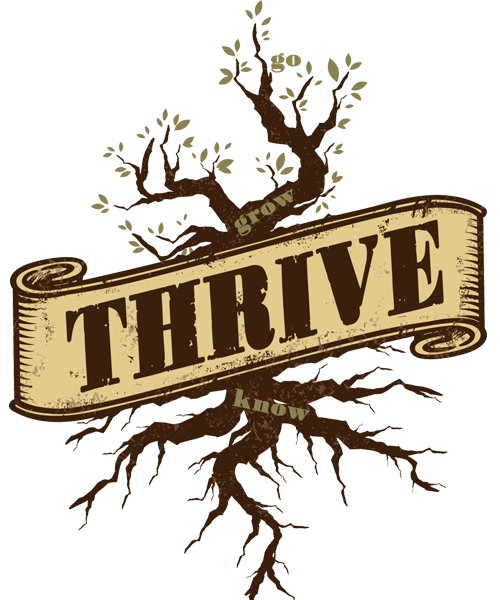 THRIVE is our weekly youth service on Wednesdays from 6:30-8:30pm. This is a time for middle and high school students to hang out, meet new friends, and dig into what God is doing their lives. It is a great place for you to come and BE YOURSELF! At THRIVE, we want to be true to ourselves, others, and God as we know, grow, and go in Jesus’ name. Like us on Facebook, you can find our upcoming events, discussion topics, and meet new friends on our page! Any questions? Fill out the form below!